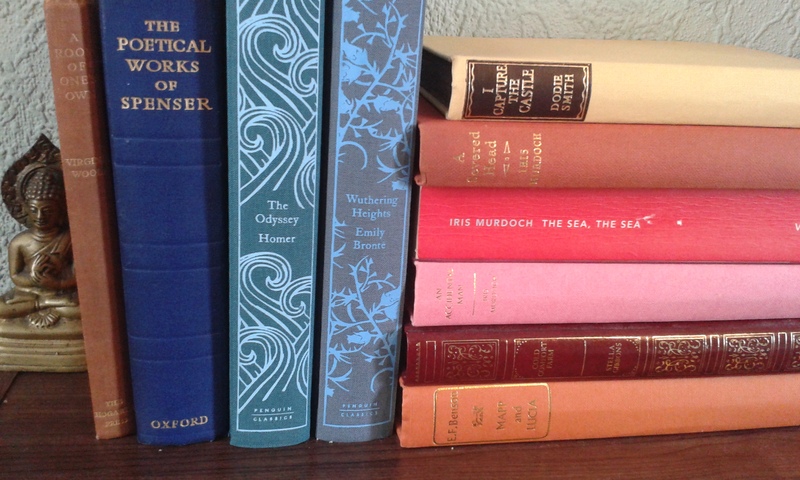 Book-wise, I am nowhere near as organised as Sarah and her colour-coded shelves. I barely group authors together. And I don’t have much in the way to shelves, either, so I’d call this ‘Piles Life’ if that didn’t suggest something rather unpleasant. 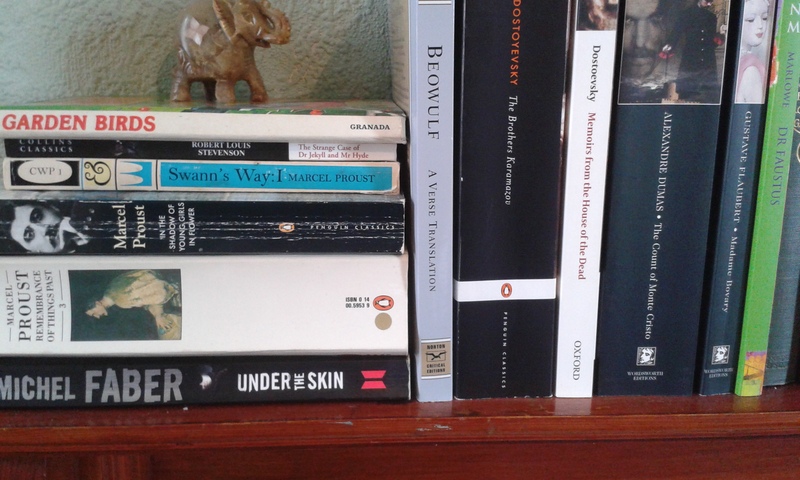 This edition of shelf life was inspired by a comment from Madame Bibi Lophile, in which she admitted she piles books on all available, and unavailable, surfaces. 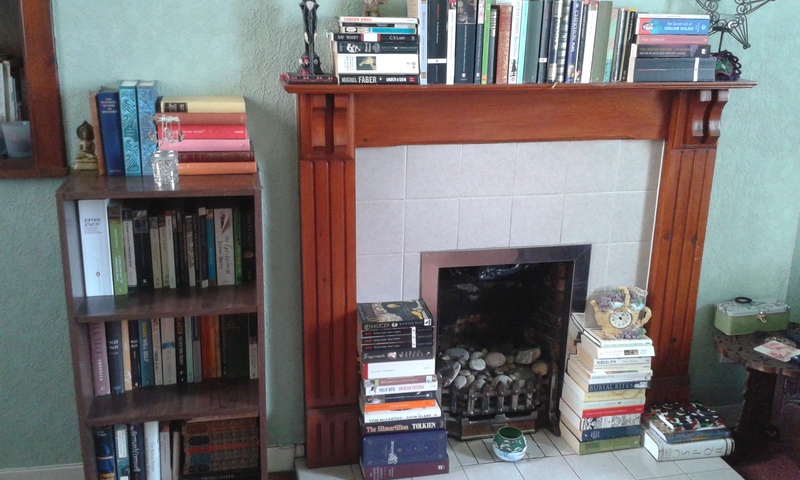 I am also running out of room, so the photos below show what has happened to the top of a book case, my mantelpiece, and the top of a chest of drawers by a mirror in my bedroom. A mirror which at this rate, I may well not be able to see in soon. 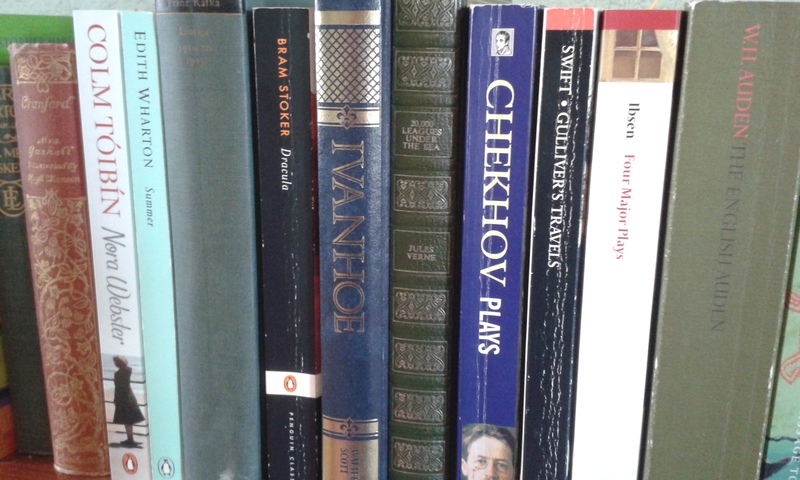 Still, what’s more important, how I look or finding a place to pile books? I think we all know the answer to that. Great photos of some amazing books. Literature as a work of art!! 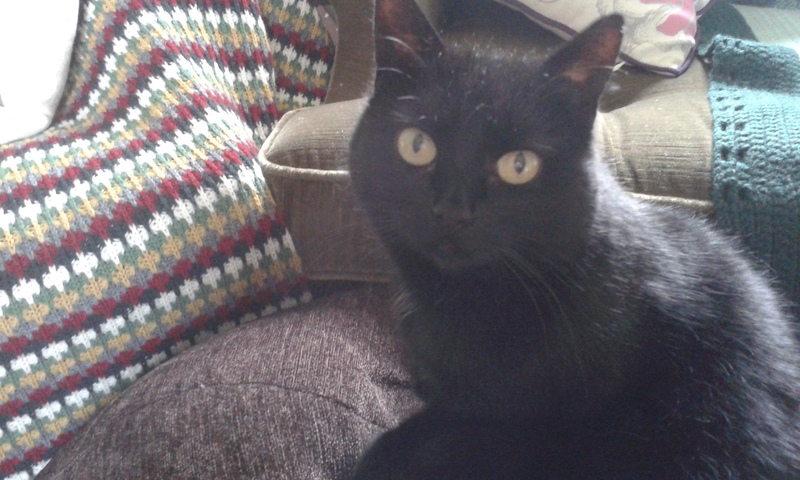 Gorgeous Kitty looks most appreciative too! Fabulous books! I just love your Aztec fireplace arrangement. You should chart the progress of those towers until they become life-threatening or burst through the ceiling! and what an elegant creature – Marcel just swooned! Your book stacks look great as decorations! Despite three bookshelves in my apartment, I still have a lot of overflow. The ones on the floor just become part of the decor ha. I like your style, nothing is more enticing than books placed on every surface catching the eye…plus it saves a lot of dusting as well! I had to get rid of a shelving pile I had by the boiler-cupboard-with-a-curtain-instead-of-a-door because the cat kept rubbing himself on it and I was worried it would hurt him. 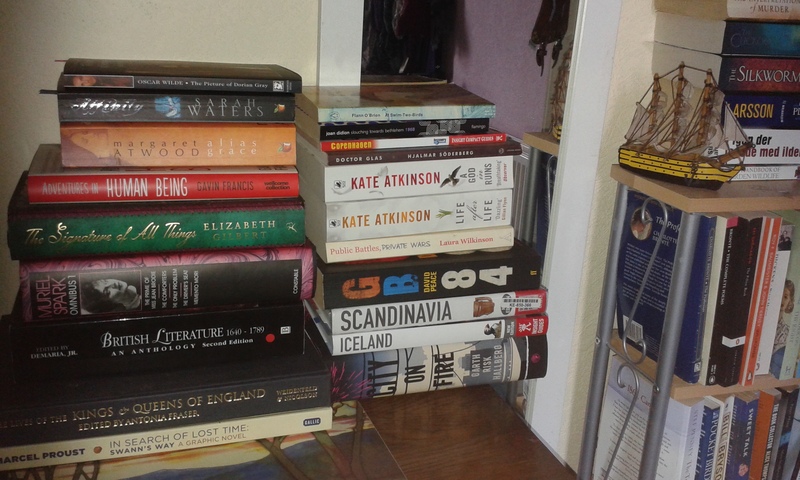 I have a Permanent Pile on the end of the front shelf of my TBR, or on my husband’s shelves if the TBR is too big. And a pile on my bedside table which include a Koran I’ve had for years, for some inexplicable reason.